Tony Roegiers joined The Garback Agency in 2017. Prior to joining the agency, Tony worked in the legal industry and in small business management for 3 years. He chose to join the Garback Agency because he shares the same philosophy as owner Doug Garback - "that each client's goals and needs are unique." This personalized approach, along with the Garback Agency's commitment to financial education and teamwork, are characteristics Tony values. 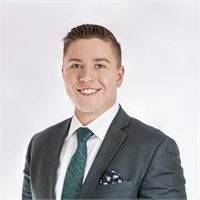 Tony looks forward to bringing his passion and experience in risk management solutions, to the firm, utilizing tools like life insurance and long-term care strategies. His other areas of knowledge and experience include college savings plans, asset accumulation and retirement planning strategies. Tony holds his Bachelor's degree from Alvernia University and his Master of Business Administration from Seton Hall University. He resides in Rahway, NJ with his wife Kristin and dog cooper. Douglas M Garback Sr. offers financial planning and Tony Roegiers offers investment advisory services through Pruco Securities, LLC (Pruco), doing business as, Prudential Financial Planning Services (PFPS) pursuant to a separate client agreement. Offering insurance and securities products and services as a registered representative of Pruco, and an agent of issuing insurance companies. 1-800-201-6690 The Garback Agency is not affiliated with The Prudential Insurance Company of America and its affiliates, including Pruco. Other products and services may be offered through a non Prudential entity. The Garback Agency and its representatives do not render tax or legal advice. Please consult with your own advisors regarding your particular situation.